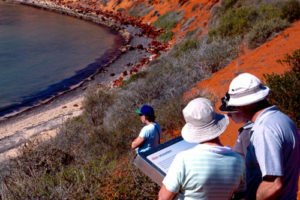 You can experience some of the bay’s most spectacular natural attractions along a number of short walks. Longer walking trails are not provided due to the warm climate and lack of fresh water. 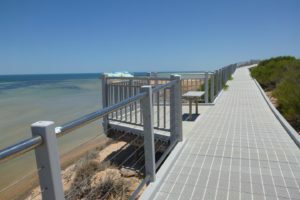 If you would like to go for a longer walk, make sure you are well prepared and discuss your plans with the Parks and Wildlife Service office in Denham. 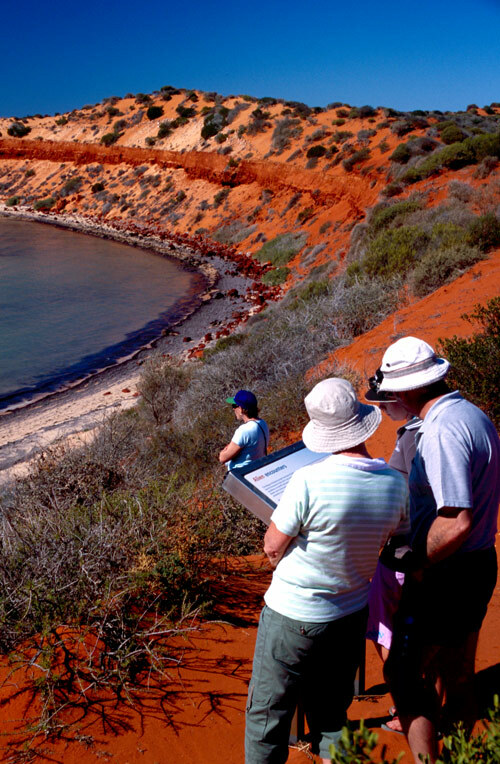 Connecting Skipjack Point and Cape Peron in Francois Peron National Park this trail has excellent views of marine life from the cliff top, striking scenery and great photographic opportunities. 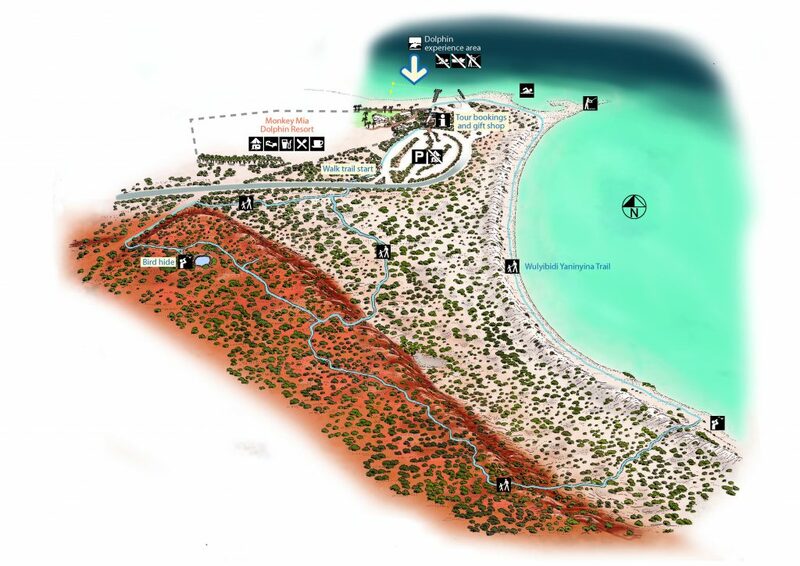 The trail leads through different landscapes, starting at the Monkey Mia carpark and winding through red sand dunes and along a section of coastline. 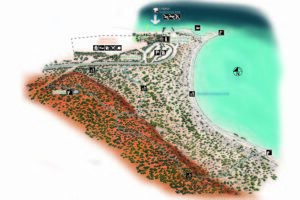 Map showing Wulyibidi Yaninyina trail at Monkey Mia. 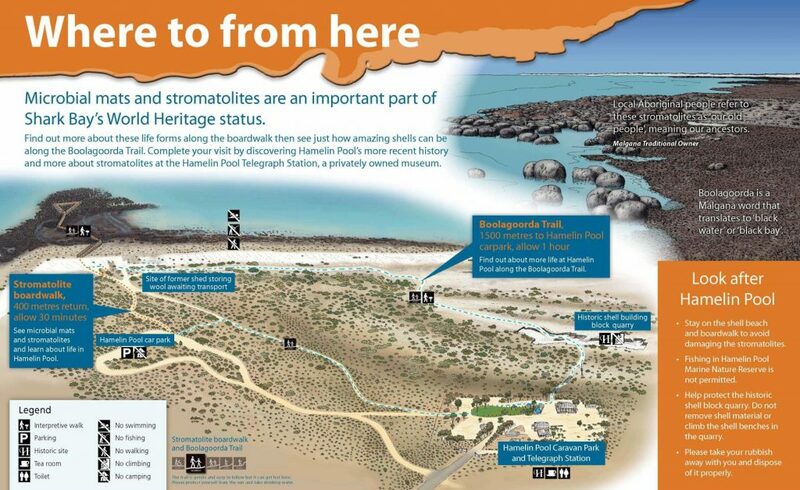 The Boolagoorda trail links Hamelin Pool Telegraph Station with the stromatolite boardwalk and features a shell quarry, grave site and remains of the old telegraph line. 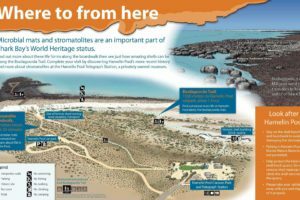 The boardwalk extends out over the water for easy viewing of the microbial mats, microbialites and stromatolites and is the most accessible place in the world for viewing stromatolites. This boardwalk is perched on top of the scree slope above the shallow waters of Henri Freycinet Harbour. It has excellent views of two small limestone islands and the marine life that frequents these inshore waters. Rays, sharks, schools of fish and even turtles and dugongs are often seen, especially during summer. 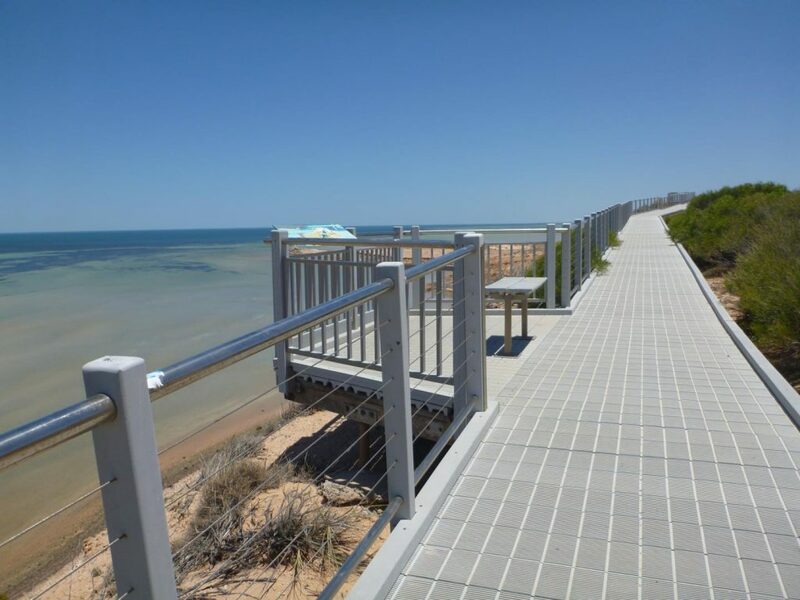 This short walk explores the Peron Heritage Precinct in Francois Peron National Park. 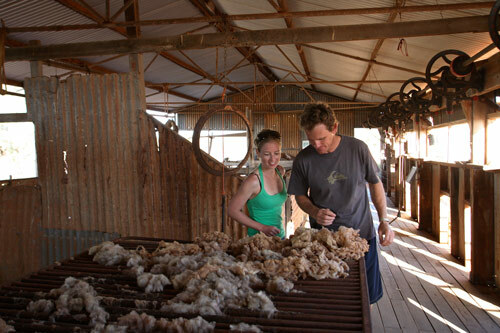 Shearing sheds, holding yards, windmills and an artesian hot tub are all features along this interpreted walk that provides insight into life before the old station became a national park. A small visitor centre features dioramas and other exhibits about the park and Project Eden.